I felt the competitive sting of motherhood soon after the pink lines appeared on the pregnancy test. If I’m honest, it may have even been before that. From "planning" my pregnancy, to kickboxing through it, our choice to homebirth, bedshare, to decline circumcision . . . I‘ve been on the defense since day one. The myriad decisions continue with heated if not passive aggressive debates that focus on exclusive breastfeeding vs. supplementing vs. formula feeding, feeding on demand vs. schedule feeding, if, when, and for how long to use pacifiers, whether to vaccinate according to the AAP recommendations or to follow an alternate schedule, if and when to sleep train, when to introduce solids, how to approach discipline . . . and on and on and on. Every past, present, and future mother has an opinion, of course, because we're all responsible for weighing the “evidence” against our needs and wants, following our instincts, and ultimately choosing from the Parenting Smorgasbord those elements that resonate loudest, and that we feel will work best for our family. Social norms only complicate things, as do the opinions of those close to you. On a bad day I might grant a complete stranger power to bruise or momentarily derail my confidence as a new mom. Three months deep, and it seems as if my way of mothering somehow denies your way of mothering, highlighting our differences and alienating our commonalities. I’ve chosen what’s best for me, and you’ve chosen what‘s best for you…but we can’t both be right! right? Or, if it’s good enough for my kid/my family, why isn’t it good enough for yours? This phenomenon plays out amongst peers and across generations. One of the most divisive decisions of all comes when choosing whether or not to return to work. 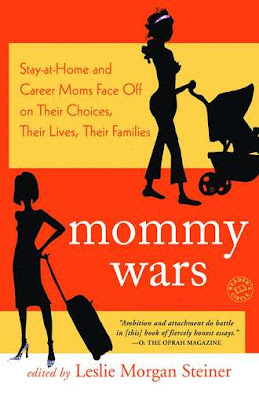 So, out of curiosity (and after a particularly trying day at home), I bought a copy of Mommy Wars. Perhaps for its timeliness, this book really hit home. It was at once fascinating, inspiring, and affirming. I’ve always prescribed to the philosophy that moms should do whatever will make THEM happiest when it comes to working or staying home. 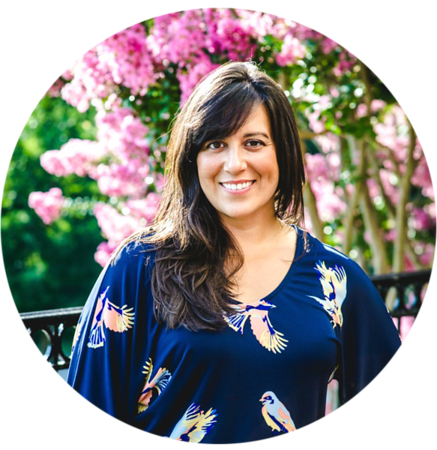 As the old saying goes, “If Momma ain’t happy, ain’t nobody happy.” But I always assumed that I would be in the camp of working moms, and with that presumption came my own ideas about what it meant to be a mom who stayed home. No matter which side you're on, I think this book has something to offer every mommy.